Renewable Energy Services Inc (RES) is locally owned & operated, and a partner of Big Island Solar. 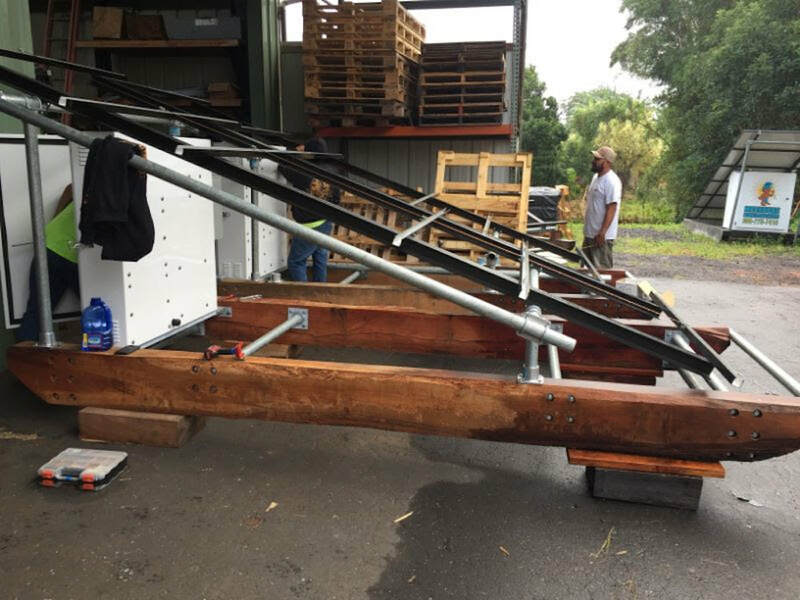 We specialize in battery-integrated Solar Energy and have been installing Off-Grid and Grid-Tied Solar Energy Systems on the Big Island for Over 25 Years. We are dedicated to the detail we put into each system, as well as the service we offer our customers. ​The pristine sun and weather of Hawaii is why visitors and resident's alike love the islands. Hawaii is undeniably one of the most beautiful places on earth, and also a great place to harness the energy of the sun. Laying near the equator, the angle at which the sun's solar energy reaches the earth makes Hawaii a perfect place to take advantage of the renewable energy offered by the sun. 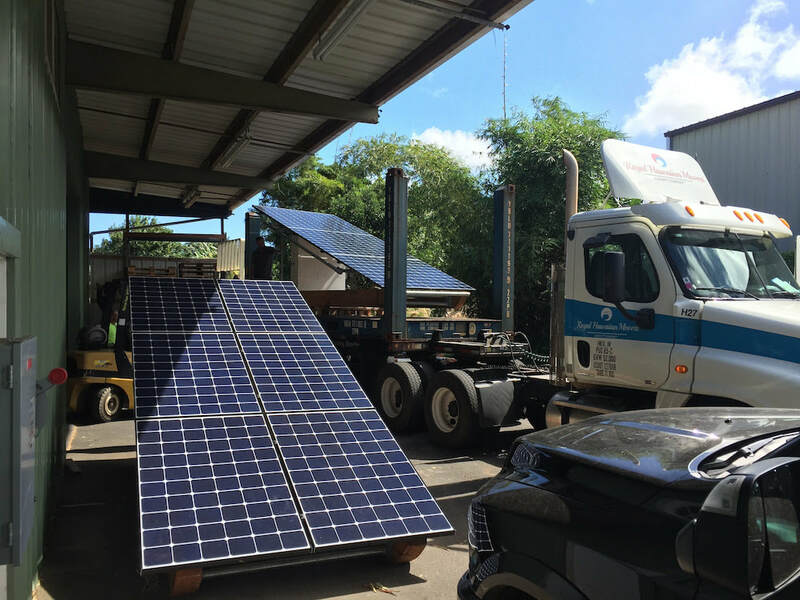 Not only do solar panels and the use of solar energy create rebates and savings for Hawaii resident's and businesses, they also produce positive environmental effects for current and future generations. As a Big Island Solar Company that has been in business for over 25years, it is our mission is to bring the best possible outcomes to the islands. We care about the aina, "the land", and the people of Hawaii. With the traditional use of fossil fuels for electricity- such as gas and coal, toxic gases are released into the atmosphere. Hawaii is geographically in a prime position to harness the power of the sun and Big Island Solar is here to help residents do just that. Discover energy autonomy with our customized, reliable off-grid solar energy solutions. Solar solutions customized for your budget and home energy needs. Our grid-tied solar solutions are complaint with HELCO's self supply program. Explore solar for your commercial property or business and save thousands of dollars annually. Our systems are designed to maximize your savings and deliver clean energy to your business. Explore energy storage solutions for both grid tied and off grid solar systems. We are integration experts. What Are the SOlar Tax Credits? The Federal tax credit will be reduced from 30% to 26% in 2020 and to 22% in 2021. From 2022 onwards, there will be no Federal tax credit for residential systems. A 10% tax credit on commercial systems will remain indefinitely. As long as batteries are charged by solar, the photovoltaic tax credits can be applied to batter purchases. Are you interested in learning the initial cost and and long term savings of a home solar system? There are different options to fit different needs. Allow us to provide you with more information and a complimentary quote on an off-grid or grid-tied solar PV system for your Big Island home or business. With the financial and environmental savings that a Solar Energy System and PV system in Hawaii offers, why not switch over today? More and more home owners and businesses alike are realizing the long term benefits that energy derived by solar power provides. Being located in the heart of the Pacific Ocean, the Hawaiian Islands have an advantage with the sunlight they receive. As more people are turning to Solar, Solar Panels and technology for homeowners and business's are improving and becoming more cost effective and efficient. Take advantage of this natural gift of light and get more information, and a free no-obligation quote today. ​Allow the Solar Process to begin with Big Island Solar Power. Powered by Sunlight. Solar Energy is a green financial and environmental decision. Learn some of the benefits of Solar Power on the Big Island for Home and Business. Tax Incentives. ​There are both Federal and Local State (Hawaii) Tax incentives. To learn more check out the Federal and State Solar Tax Incentives. Environmental Benefits. Protect Hawaii! Not only is Solar Energy Sustainable, it's renewable! Help reduce your carbon foot print by going Solar. We will eventually run out of fossil fuels (gas, coal and oil). But sunlight will shine on! 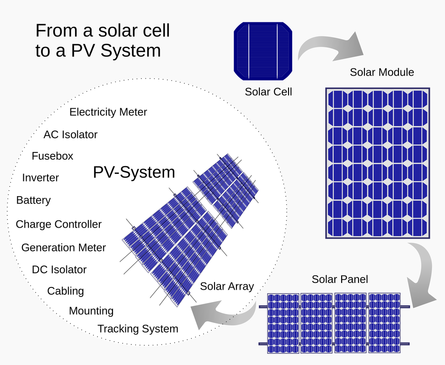 ​Solar Panels are made up of cells called Solar Photovoltaic Cells (PV). These Solar Cells convert the suns energy, or sunlight, into electricity at the atomic level. This electricity is converted into a direct current (DC) electricity. An inverter, an electrical device converts Direct Electricity (DC) generated by the Hawaii Solar Panels, into an alternating current (AC) electricity. From the inverter, the AC electricity is transferred to your electrical panel, which powers your lights and other electrical items. A Utility Meter Measure the amount on energy your home or business uses. If you are generating more electricity than needed, it can be saved for the evening hours. All of the energy is connected to the grid. Again at night, your day time excess energy is stored to offset your evening energy. Get More Solar Energy Information Today!! Big Island Solar Power serves all areas of the Big Island of Hawaii, including Waikoloa, Kona, Waimea, Hilo, Kohala, and all other areas. Contact us for your free Property Solar Quote.